You have reached the Redford Theatre's Heritage Site. The Redford Theatre, with its historic original 3 manual, 10 rank Barton Theatre Pipe Organ, has served as a Metro Detroit entertainment center since it opened on January 27, 1928. 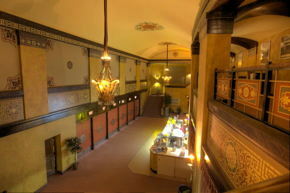 The non-profit Motor City Theatre Organ Society owns and operates the Redford Theatre. Enjoy the classic film series, organ concerts or your special event, enhanced by this beautifully restored setting. 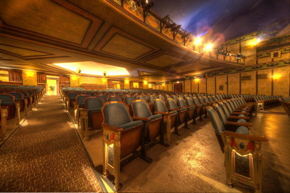 The Redford Theatre is operated by an all-volunteer staff. Proceeds from programs presented at the Redford are used to restore and maintain the theatre building.